UPDATE 4PM EDT: It’s shaping up to be a blowout on both sides of the aisle as the Miata and TT are going Hamilton and Rosberg on the competition. Vote now! 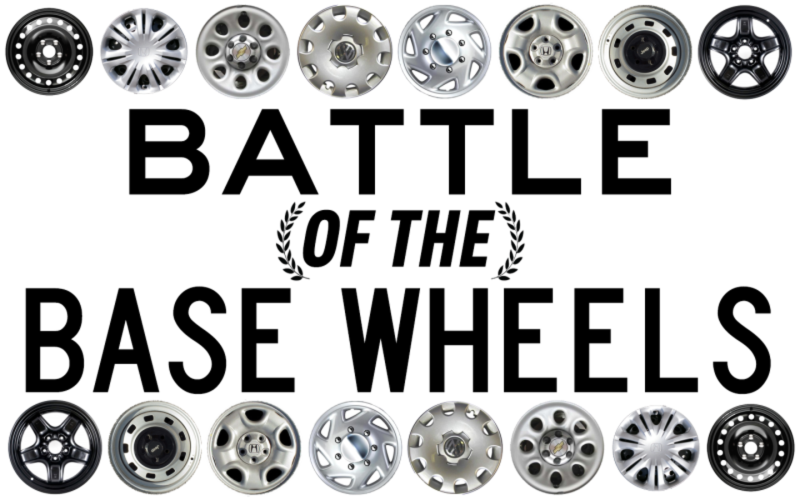 Welcome to this the eighth edition of Battle of the Base Wheels, where you, the readers, decide which vehicle has the best base wheels. Last time, we walked a mile in the shoes of a hot-shot drug rep to decide which full-size sedan’s base wheels had the fewest side effects. The first round contests were close, with the Chrysler 300 and Toyota Avalon advancing to the championship. In the finale, though, it was a bloodbath. The Avalon quietly and comfortably slaughtered the 300 in one of the most lopsided finishes we’ve seen yet. I’d Go Places in that. Looks like the 300 is getting deported back to the Motor City. Today we’re turning up the fun a notch with a free-for-all between sports cars with an MSRP under $50k. Like last time, we’re going to split the group and make it a two-round affair. In the first round, you’ll vote for the best of the Europe and the best of Asia. The winners from round one will then face off tomorrow for the title, so make sure to check back for that. Note: With groups like this, the lines of demarcation can be a bit blurred, so if I missed an entrant that you think should have been included, I’m sorry. C’est la vie. As always, if you have a suggestion for a future battle, let me know in the comments. Past editions of Battle of the Base Wheels can be found here.